Mobile banners come in a range of sizes, but in all cases they are smaller than their desktop cousins. Keep that in mind when you’re selecting an image for your ad. Small details and text may not be readable once your image is scaled to fit a mobile device. 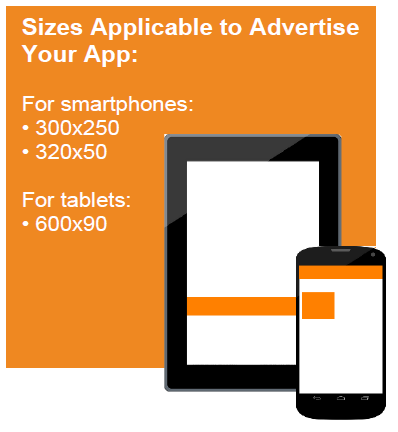 Advertise Your App automatically scales your images to fit three banner sizes: 300 x 250, 320 x 50 for Smartphones and 600 x 90 for tablets. Keep your ad copy short and crisp and try to convey a sense of urgency to move customers to take action immediately. 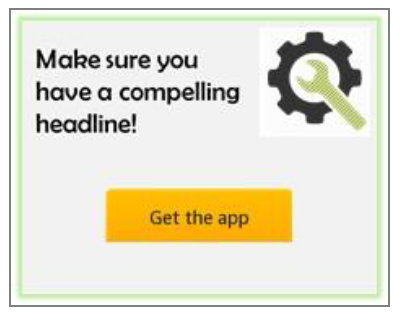 You banner will need a strong call-to-action button that uses active verbs like “Play Now” or “Get the App”. Keep images to a minimum. 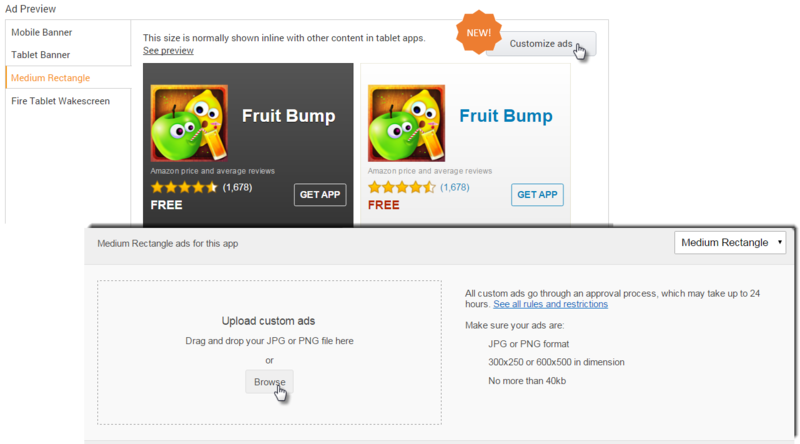 The focus should be on the text, as cluttered ads take users longer to scan and don’t make an impact. Images should be relevant, not too detailed, and should be easy to recognize. Use contrasting colors and legible fonts when integrating text. Are files the right size? Having larger file sizes means that ads can take longer to download, particularly if users have a slower Internet connection. Users will be lost if the ad takes too long to load, so ensure this does not happen. Advertise Your App limits file size to 20kb for banners and 40kb for squares and will attempt to reduce the size of your larger images for you. This works best for the JPG file type. Is the banner consistent with the post-click experience? Remember that the banner is the user’s first introduction to your app. If the app store description, user reviews, screenshots or the app itself do not deliver what the banner ad promised, those users will not stay install your app or continue to use it. Avoid having your app rejected. Including the app price is not allowed, but stating that the app is free is okay. Do not include any references to a promotion, offer, or contest in your ad creative. If including ratings or reviews, be sure to include reference dates. Check for misspellings, typographical or grammatical errors before publishing your ad creative. No! You must constantly evaluate your banners’ performance and you should always tweak them to ensure they perform better.